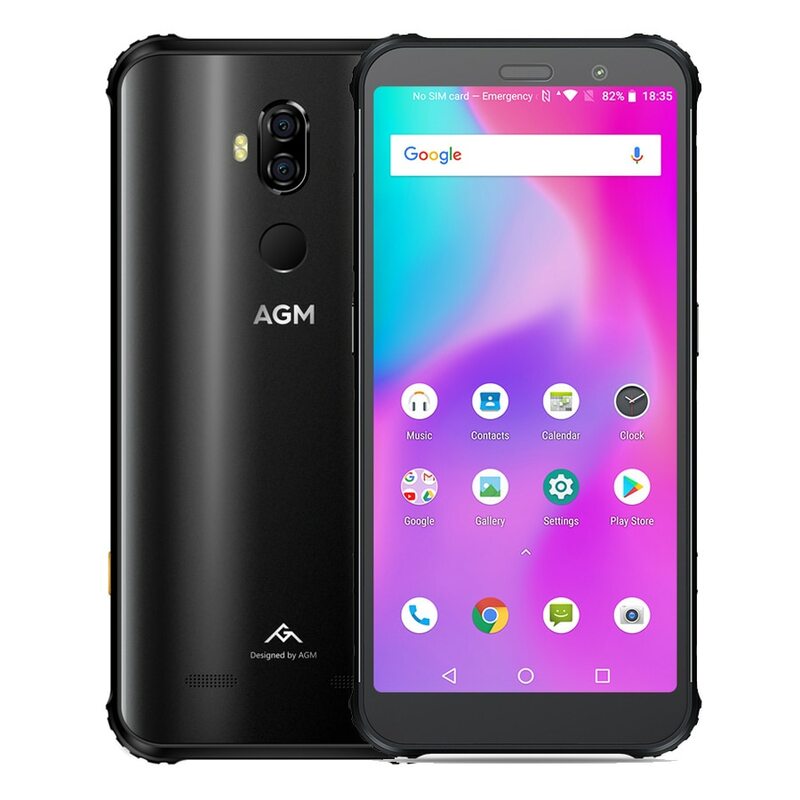 Highly rugged Full HD+ phablet rated IP68 & MIL-STD-810G, Octa-core with Android Oreo, NFC, OTG, 4G LTE Connectivity, fingerprint sensor, Dual JBL speakers and a Dual SIM. Highly rugged Full HD+ phablet, it is dustproof and waterproof rated IP68 (1.5 meters) and MIL-STD-810G. It has 4G FDD-LTE & TDD-LTE connectivity, a fingerprint sensor, two JBL speakers and dual SIM capability. It comes with a 5.99-inch capacitive multi-touch Gorilla Glass 5 IPS display with a FHD+ resolution (2160 x 1080) with 18:9 ratio. It can be operated wearing gloves (1.5 mm thick). 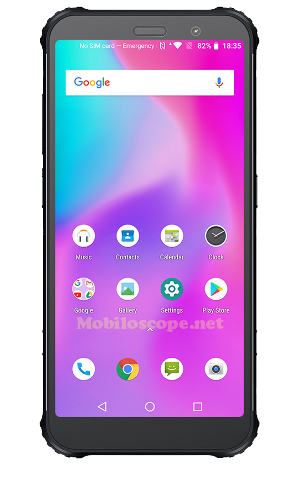 On the inside, it runs with Android Oreo (8.1) on a 64 bits Octa-core 4x2.8GHz+4x1.8GHz Qualcomm Snapdragon 845 processor, 6GB/8GB of RAM, 64GB/128GB/256GB of internal storage and a 128GB microSD card slot. It sports a Dual 12MP+24MP autofocus camera (Front 20MP), a Dual LED flash and video 1080p@30fps. GPS/Glonass/Beidou receiver, FM receiver, G-sensor, compass, gyroscope and fingerprint sensor. Connectivity WiFi b/g/n/ac Dual Band 5G, BT5.0, USB Type-C, NFC, OTG, 4G FDD-LTE & TDD-LTE, 5V/2A Quick Charge 3.0, 10W Wireless Charging and dual hybrid nano Sim (nano SIM + nano SIM/microSD). It measures 167.5 x 81.5 x 10.5 mm, it weighs 216 g and its built-in battery has a capacity of 4,100 mAh.